This week saw a big release from Facebook Oculus. At $399, can the Oculus Quest be Zuckerberg's iPhone? Will VR finally become important enough to become mainstream in 2019? Let us know what you think - we love to hear from you! Here's our favourite stories from the week! This past summer, I pulled up a chair—for a time at the Library of Congress—and read every issue of the magazine’s print edition, chronologically and cover to cover. My aim was to engage in a particular kind of time travel. through to WIRED's and its contributor's many predictions over the past quarter-century, either proven false or true by time, though many will surprise you. Finally, Karpf reaches today, and speaks about what the swaggering, optimistic and loud WIRED of the 90's has become. Newspapers and the journalists that write them voice their hopes and concerns about the future. The big question is how to survive the tough market for legacy print publications, without a clear path to financial success. It’s a dark time to be in the media business but its history shows its an important business that is more than the sum of its parts. It’s one thing to buy an auto parts factory and then sell off the machinery and fire the staff. You lose an auto parts factory, but if you lose a newspaper, the functioning of the city’s democracy fundamentally changes. In big social media news of the week, Instagram co-founders Kevin Systrom and Mike Krieger have left the company. The world is speculating at the real reason for their departure. The general idea out there is that Facebook has been trending towards a tighter control over Instagram. A 'bear hug' that has impacted everything from referral signups to team growth. Is the camera the new cursor? In a rare partnership for Amazon, the commerce giant will help Snapchat challenge Instagram and Pinterest for social shopping supremacy. 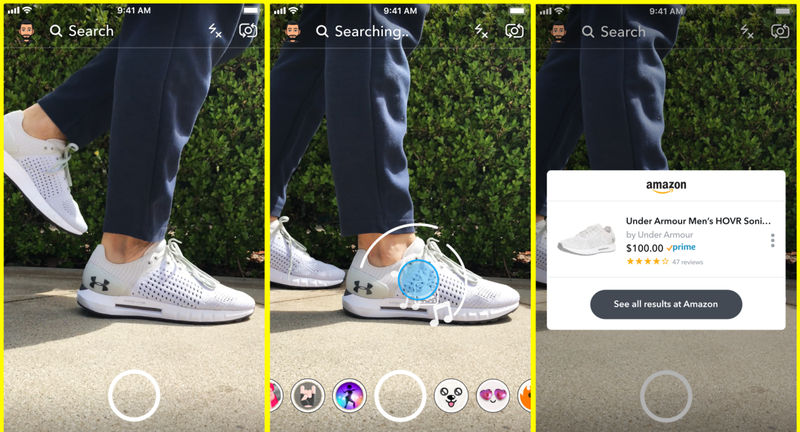 Snapchat announced it’s slowly rolling out a new visual product search feature. So how does it work, Snapchat’s camera will scan a physical object or barcode, which then brings up a card showing the item and similar ones along with their title, price, and a thumbnail image. When they tap on it, they’ll be sent to Amazon’s app or site to buy it. This partnership is a win for Snapchat's commerce-focused strategy. It has seen a decline in its number of users recently. With commerce features like this, the quality of their user activity, may be worth more to advertisers than the quantity. That's all from the Rerun team this week. We're taking a little break next week to take part in our Team Week Lab Day in Dublin. Until then, have a great week!